Robotic Process Automation is a software application which replicates actions of an employee who is interacting with a user interface of a computer system. Unlike traditional computer software, RPA interacts with other IT systems via a user interface, mimicking the work of a user, and not via an API (Application Programming Interface) or the software integration bridge called middleware. RPA may be installed on a PC of an employee to serve as a digital assistant, to carry out labor intensive, monotonous tasks which involve various computer applications. RPA may be implemented centrally in the IT environment of a company to completely replace human employees with robots in certain areas of operations. Its capabilities usually do not exceed the level of processes and tasks performed by an employee. The system possesses far greater capabilities than a desktop system but is more complex in testing and administration at the same time. The platform has a modular design. The necessary modules are installed depending on the demands of a customer on a company server or locally. The platform has a capability to manage all of the modules from a single central location. Combines the benefits of the first two kinds of RPA systems. Easily run bots with the Bot Runner, schedule, trigger, define the speed, protect, store your bots with this module. Development studio. Create bots in hours, not weeks. Reduce demand on IT time and your budget. A treasure of built-in functions. Bot Creator includes more that 550 built-in functions for fast development and deployment of RPA processes. It includes string editing functions, creation of variables, cycles, arrays, logical chains of any complexity; Excel, database and .pdf functions among numerous others. Bot Creator allows to create MetaBots (bots with cognitive functions) and IQBots (bots with AI functions). It is a front-office robot which works together with a human and assists him in carrying out tasks automatically. It is a back-office robot which sits on a corporate network without being tied to any computer workspace and carries out complex chain of tasks on its own while being controlled from the center of robot administration. It is a unified center for planning, managing, monitoring, auditing and reporting. 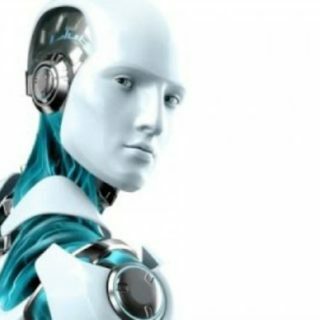 It is a robot designing software which allows to design robots with the use of highly intuitive (cognitive) tools, which allow to set robot’s tasks, determine robot’s users and their roles, data capturing from external sources and systems, data processing, tuning data controls, data writing to external systems, processing of errors and exceptions, and also maintaining the libraries of tested work processes, managing software version upgrades and of system landscapes. Preparation of a preliminary list – a Long List of 10-15 processes for robotic automation. Prepare a summary analysis of direct and indirect benefits of implementation. We are very excited to be engaged in the field of robotic automation. We have worked with numerous customers; we have completed numerous automation projects. We see the positive impact our work has made on businesses; we see how much more businesses can further gain. We see how businesses can evolve, become more competitive, flexible and profitable with the use of robotic automation. The future for RPA technology is bright. We hope to work together with you to make this bright vision a reality. Proven successful RPA project deliveries. In our consultants our customers receive not only the top RPA professionals, an excellent support, but also the cutting edge expertise of the entire consulting firm. We do not just polish the knowledge of automation techniques, we seek to gain a unique perspective of what RPA means for an enterprise, how will a business evolve with the use of RPA, what kind of risks RPA may carry, what is the best way to implement RPA for a business to gain the most out of its implementation. We offer a concept, an RPA perspective along with a particular automation solution. Our consultants can examine business processes, provide a cost saving and an ROI analysis, develop an RPA implementation plan for an enterprise. Business consulting: processes analysis, design, and operational transformation support. We can develop and implement an effective automation solution for a particular process or improve the existing processes. Implementation consulting: development, knowledge transfer, and roll out. We can continuously monitor automation processes, offer support for RPA products and advice for further RPA development. Post implementation support: basic, extended, and premium packages. We implement a sophisticated recruitment effort to find the most qualified individuals for the jobs we offer. Our consultants are selected from some of the best educational establishment, additionally we hire individuals who have an extensive experience working for some of the world’s top companies. All our consultants undergo an intensive training course which results in receiving RPA product certification. Our consultants continue their training, constantly improving their skills. We maintain a vast library of various RPA project solutions, our consultants regularly review complex automation cases, we make sure our customers get experts who are ready to complete any automation task. Our consultants bring not only their own expert skills with them, but also the combined knowledge of the team and the entire NFP company with them, the combined experience of experts working in many fields for dozens of years for some of the world’s top companies. NFP management has an extensive experience working for Big Four consulting firms. NFP customers include Gazprom, EY, Mitsubishi Motors, Leroy Merlin, Bayer, Rostelecom among other global companies. Completed projects in financial, retail, pharmaceutical, industrial production, telecommunication, agricultural, and other areas.